Does your dog have a bit of a bad habit of chewing everything you care about. He can't help it he just needs a little help on what to chew and what not to chew. Get this DVD so you can teach him what is ok for him to devour and what is not ok. This educational dvd is a great teaching device if you are interested in saving your home and furniture from destruction. Puppies and dogs can have a bad habit of jumping on you and your friends when they visit. This is a very common problem that can be solved with proper training. 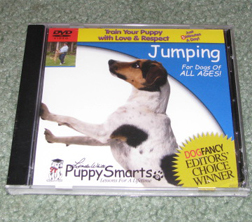 This DVD can help you solve your pet of this problem. Training your dog to sit, come stay and down is instumental in basic dog obedience. 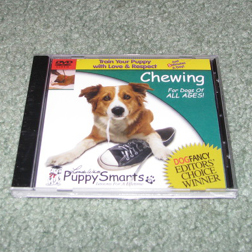 Teach your puppy good manners with this highly educational DVD. 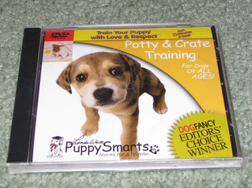 Save your carpets and your sanity with this easy potty training tool. Be able to actually trust your dog when you leave the house. 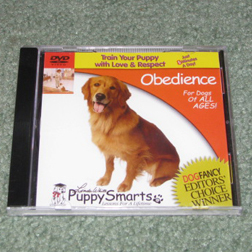 This DVD will make you and your puppy smile in delight and pride. Train you dog not to pull. Controls your dog without choking your puppy. 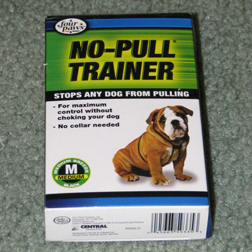 With this no-pull trainer no collar is necessary. 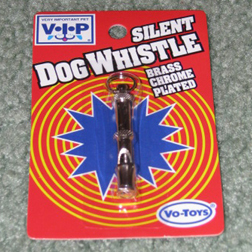 Helps stop your dog or puppy from eating its own feces. 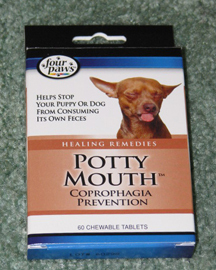 Helps prevent Coprophagia. 60 Chewable tablets.